As I was reading and learning about the tradition of fasting in different worship tradtions, I came across Ramadan, which is going on now, as well as other traditions that I mentioned in a blog post a few days ago. 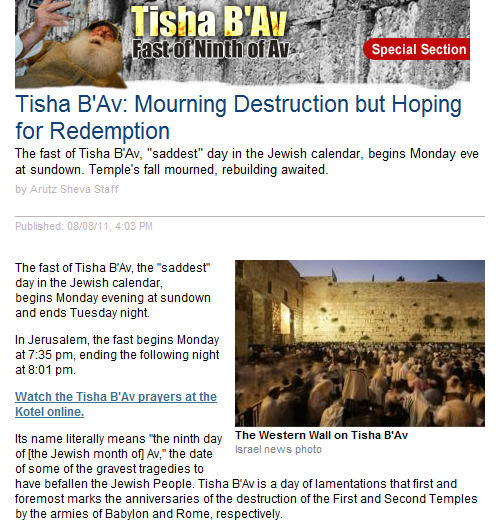 I also learned about Tisha B’Av, which is a Jewish holiday where the faithful lament and mourn the greatest tragedies that have befallen Jews as a people. Remembrance, contemplation, and hope for the future all appear to be a part of this day, which started at sundown on 8/8/11.